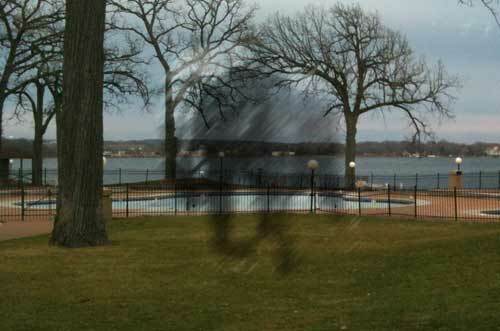 Romeo's ghost haunts Lake Lawn in Wisconsin. Former mayor Ed Rosenthal tried to adopt an elephant ghost while visiting Delavan, WI. According to local sources, Rosenthal saw the ghost of Romeo, a killer elephant that used to live in Delavan. Romeo, a circus elephant, lived in the 1800s, and stayed in Delavan during the winter. During his career, he killed five people, but was never put down because, according to one source, he was sad over the death of his mate, Juliet. A source connect to the Delavan tourism department said Rosenthal’s request was denied. Wisconsin officials urge caution to anyone attempting to adopt a ghost, and to consult paranormal experts before trying to move one across state lines. is this article fiction or not? This is a work of fiction, but I do know Ed in real life. He's a great guy, and he liked this article.